It has been a while since I’ve been to Cafe Creasion and I have nothing but fond memories of their macarons especially of their fruit inspired flavours. 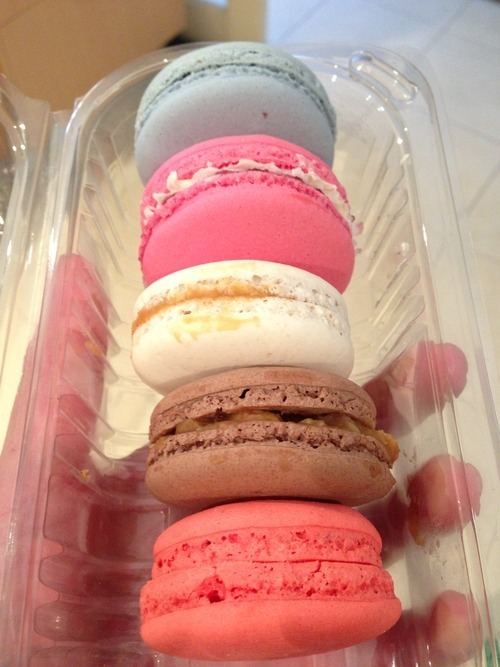 Recently, someone kindly bought me a box with one of each flavour (and one double) without remembering exactly what they were but I didn’t mind, that meant I had a box of 24 macarons and an adventure for my palette. 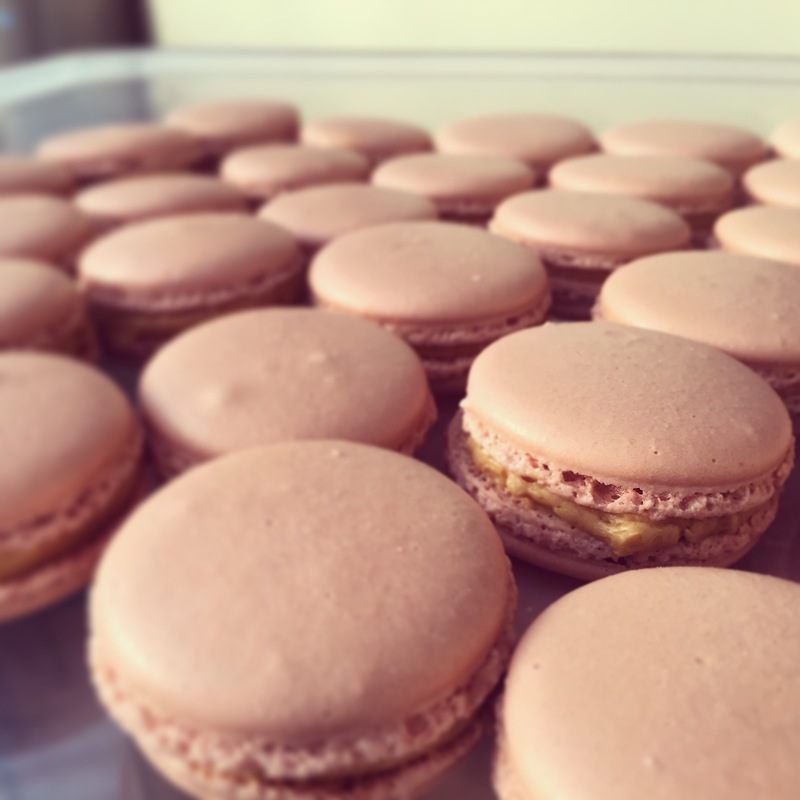 I didn’t think 24 macarons was going to be much trouble but I was almost on a sugar high overload by the time I got to number #10. A lot of them had similar colours and indistinguishable flavours. I must say I was not impressed. The worst one of all was what I thought to be ‘black sesame’, I couldn’t even eat it and discarded the rest after my first and only bite. I was lucky enough to save the best by far for last which resembled a raspberry flavour. Shame really, maybe they’ll have better flavours in the Summer? I had to do a loop of the whole Food and Fashion Handmade markets despite being there for one purpose. 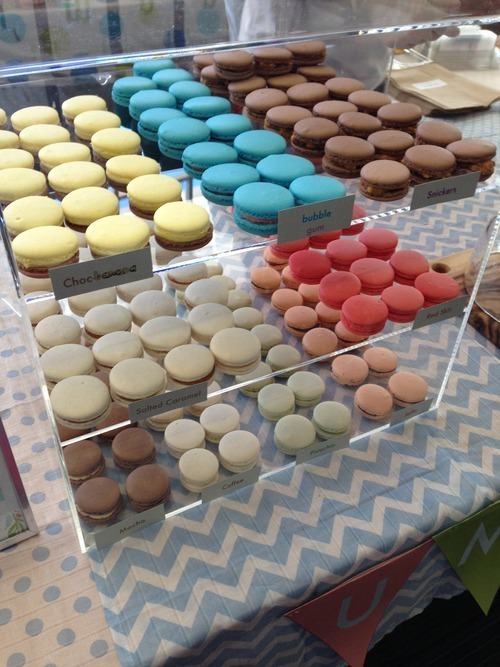 At first it seemed like the same set of stalls- jams, chocolate, cupcakes and more cupcakes, but then a new macaron stall caught my eye. 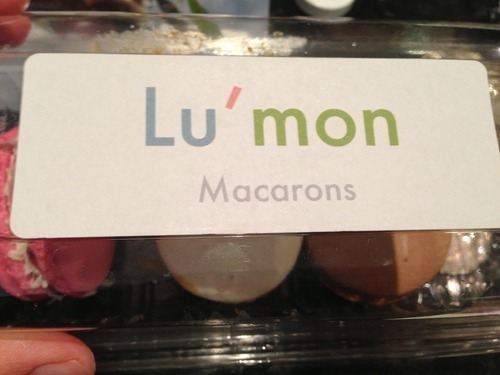 Lu’mon macarons had a nice simple clean set up but what made me smirk and come back and get something even though I was running crazily late for my lunch date was there unique flavours. They had a variety of flavours but I was going to skip out on the ‘boring’ flavours and just grab those which were unique to this store and of course a salted butter caramel as a measuring stick. 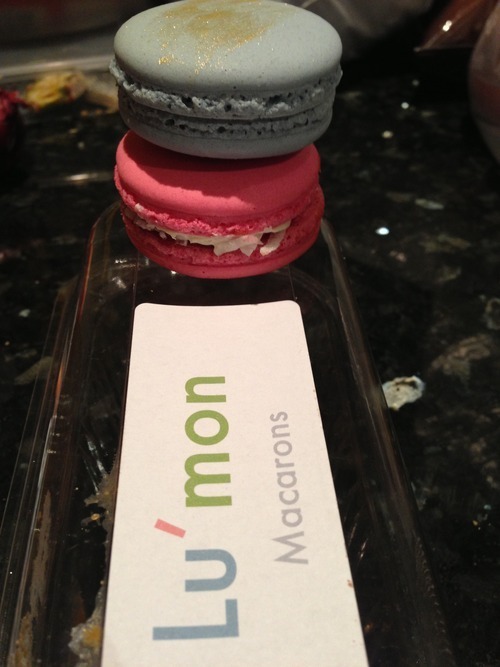 Macarons honeycomb, iced vovo, salted butter caramel, snickers, red skins and bubblegum (not shown) 6 for $15.00. Snickers: EXACTLY like the chocolate bar, you wouldn’t even have to tell me what the flavour was. Honeycomb: this had a honeycomb centre which was a pleasant surprise. Salted butter caramel: Not THE best but definitely up there. Red skins: wow, I was amazed how this flavour to be so dead on but have such a different texture to the candy. Bubblegum: more for Timmy than me but I could appreciate the taste and the likeness. Iced vovo: since all the other flavours were so great, I was looking foward to this one the most and left it til last. Sadly the raspberry component tasted medicinal and it was the worst flavour out of the 6. 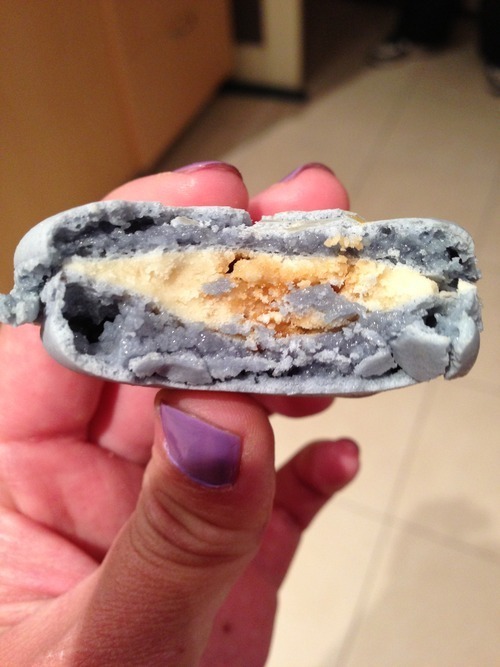 Wonderful textures and flavours, does anyone know where I can find these macarons outside of random market days?